Remember when I advertised for this Humans vs. Zombies game that head organized back in Winter 2012? Well I finally have all my game footage, as well as vlogs, uploaded now! Again, we played two different games on two different days, and had 81 people play the first day, and 87 the next. Check below for much more video and photos on the event as well as more information on our games. An action shot from our Summer 2013, Day 2 Game. 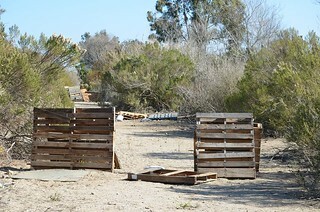 The Paintball and Airsoft field are separate, but next to each other. Be sure to go to the Airsoft field for the game, NOT the Paintball field. Games go from about 9 AM to around Dusk, with a lunch break around Noon. Appropriate clothing. There isn’t much shade at this field. Also there’s lots of bushes and more unsteady terrain then the usual Mission Oaks/Mission Verde Park we play at. Pants and shoes with good support are very high recommended. Check below for a weather report. $10 to pay to play. The $10 is per day, so if you attended both game days you would pay $10 on each day. A safety waiver needs to be signed to play. People under 18 must get it signed by a guardian. Waiver can be found and filled out at the game or signed ahead of time and brought. Link to Waiver is found below. Eye Protection is also mandatory to play. Your usual NIC eye protection will serve you just fine, and these forms of eye protection are also allowed. Paintball or Airsoft protection, as long as it protects your eyes. A hat is also recommended. Water, there aren’t any water fountains or water sources there. Money for Lunch or your own lunch. A Bandanna to mark if your a Human or Zombie. 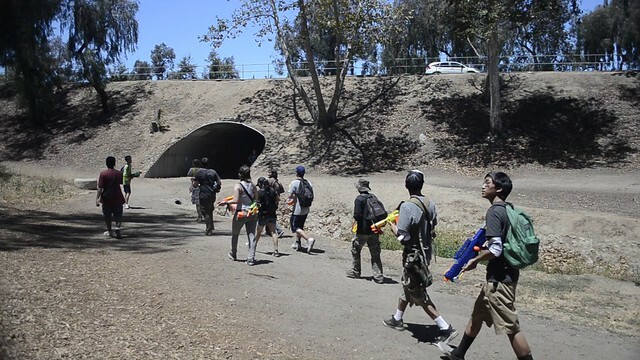 Hey there everyone, Camarillo HvZ for Winter 2013 is back to announce game dates and a location to everyone. We’ve had some problems with the City of Camarillo recently enforcing their code, so we can’t play in Mission Verde Park this Winter. 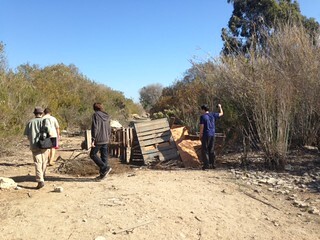 In the mean time, we’ve secured a new location to play at at the Channel Island Airsoft Field in Oxnard. Even though there is a $10 payment, mandatory eye protection, and waivers that must be signed, the organizers and myself believe that this play area will be a refreshing new take on our usual Camarillo HvZ games. A few photos of this new location can be viewed below. This past Summer 2013, we had 70 Players attend Day 1, and 89 Players attend Day 2. The Day 2 single day attendance set our biggest single game day record so far! This will also be the 5 year anniversary of the games, so thank you for everyone of you who have attended and gotten your friends to come. Here’s to 5 more years of HvZ! Game Photos from Summer 2013, Day 2. Video trailer I made for the game, footage from the Summer 2012 game and Winter 2012 games. Loose and comfortable clothing. It is in July/Summer after all! Hey guys, if you happen to be in Southern California, feel free to come to the Camarillo, Mission Oaks Park day long game. If you know anything about Southern California Humans vs. Zombies games, you’ll know that there’s not a lot of colleges or schools that have them over here. That’s why I’m pushing hard for this game by inviting people I know as well as blogging about it. Camarillo is about an hour drive from Los Angeles. The drive is well worth it though. Some unique things about this game is that the mod team changes every year. Each mod brings a different outlook on game missions and objectives, which makes for a truly unique experience each game. Game time is usually from 10 am to 4 pm with a lunch break around noon. There is no starve out period, and stun timers are shorter to make up for the day long game. The park has two decent sized fields on it, but the major terrain perk is that theres a two or three mile long winding creek that is great for missions and surprise attacks. An additional, smaller park two blocks away that is also sometimes used for missions. Camarillo Humans vs. Zombies now has dates for Summer 2013! I’m not the head organizer this time like in the Winter 2012 games, but I will be moderating and helping organize though. These past games had 81 people people attend first day, and then 87 people the second, which makes the second day the biggest Camarillo HvZ event in it’s history! If your visiting and in the LA County area, why not come over to play some HvZ? If your thinking about going, we would love to have you! Rules from the Winter 2012 Game, which or may may not be changed for the upcoming Summer 2013 Games. Campaign to Camarillo Summer 2013: Summer 2013 Camarillo, CA Game Dates Decided! I’m the dude with the panda accessories! 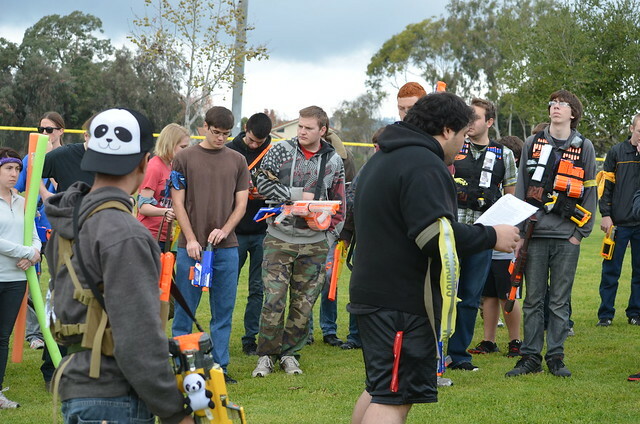 If you’ve been following my blog since about 2011, you should know that Camarillo Humans vs. Zombies is the biggest, open, Nerf related even in Southern California. 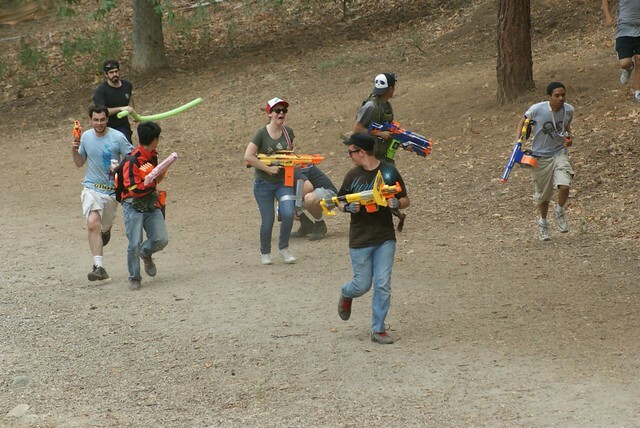 Every Summer and Winter, a group of volunteers organize and host day long Humans vs. Zombies games in Mission. I helped organize the Winter 2012 HvZ games, and I’m helping organize these Summer 2013 games. That’s partly why I haven’t been uploading as much videos or posting on here as much. The Summer 2013 game dates have been decided! The first game is on July 13th, A Saturday, at 9 AM. The second game is on July 21, a Sunday, at 9 AM. Search “Mission Verde Park, Camarillo, CA” on Google Maps to get the location and directions to the event. Check out the Facebook event page here. You can discuss the event there, and please RSVP if you plan on going. Below, I’ve also linked music videos to two previous events that I’ve been to. Camarillio, CA Humans vs. Zombies Winter 2012 Trailer, ALL footage shown is from the Summer 2012 Game. Warm Clothing! It is in December, and weather forecasts are showing weather in the low 60s for that day. Common sense stuff thats way too powerful. Hey guys, if you happen to be in Southern California, feel free to come to the Camarillo, Mission Oaks Park day long game. If you know anything about Southern California Humans vs. Zombies games, you’ll know that theres not a lot of colleges or schools that have them over here. Thats why I’m pushing hard for this game by inviting people I know as well as blogging about it. Camarillo is about an hour and a half drive from Los Angeles. The drive is well worth it though. Some unique things about this game is that the mod team changes every year. Each mod brings a different outlook on game missions and objectives, which makes for a truly unique experience each game. Game time is usually from 10 am to 4 pm with a lunch break around noon. Camarillo Humans vs. Zombies is back for Winter 2012! I’m actually the head organizer this time around, and I’m bring some new ideas to the table, including things like zombie missions, zombie buffs and rewards, and prizes to be handed out at the end of the game! This past game had 70 people attend, the second biggest game in Camarillo history. If your visiting and in the LA County area, why not come over to play some HvZ? If your thinking about going, we would love to have you!